Live electronic music pioneers Sound Tribe Sector 9 just revealed the details behind their annual Red Rocks shows for September 5-7. For the last decade, the group has returned to bring its genre-crossing sound and production to Colorado's most iconic performance venue, creating an event every bit as magical as the landscape the surrounds it. 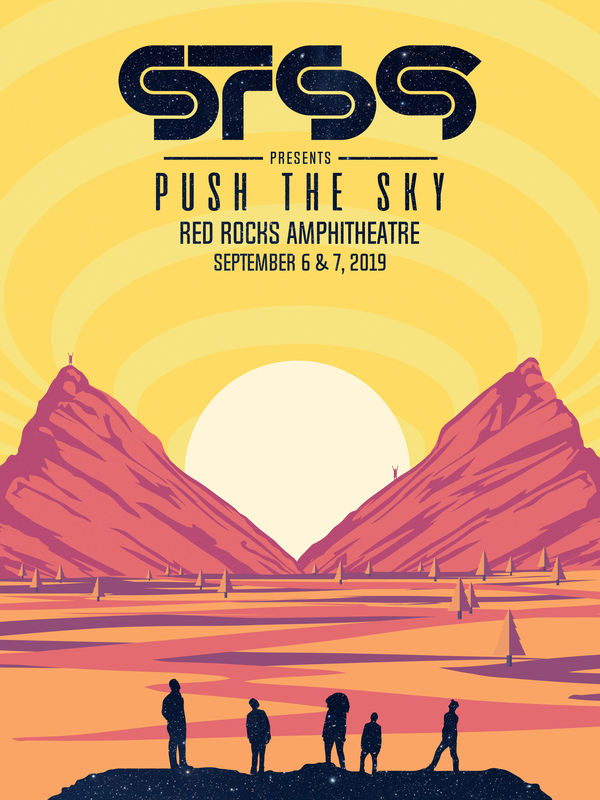 STS9's 2019 event will see the debut of their new 'Push The Sky' production and stage aesthetic, an evolution of last years 'Cave Of Crystals' design. Through this evolution, the collective has established itself as one of the most forward-thinking groups in live music, a title that has brought with it a devoted fanbase and worldwide recognition. The weekend kicks off on September 5 with a fully improvised and extended 'Wave Spell' show at The Paramount in Denver, a concept first revealed by STS9 at their flagship Wave Spell Live festival in Belden Town California last year. 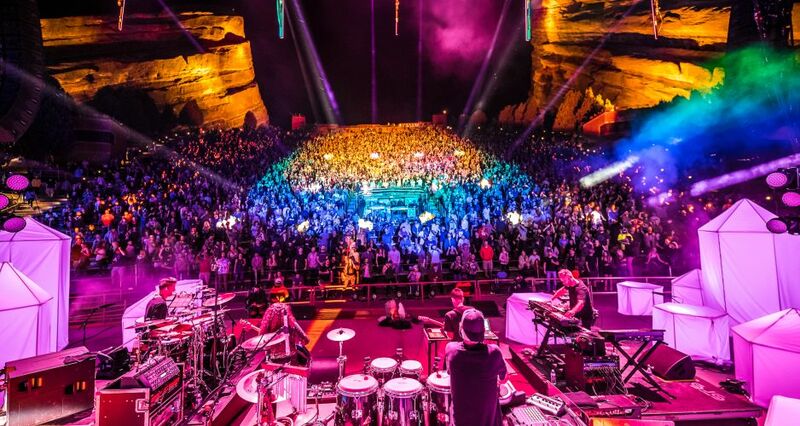 Red Rocks Amphitheatre will play host to three different STS9 sets on both Friday and Saturday, sparking a live electronic fusion within one of dance music's most talented collectives. Special 3-day weekender passes will be available exclusively for STS9 Bandcamp subscribers on April 3 with public on sale to follow on April 5.
to follow on April 5.